My buddy in Ontario sent me this picture of his encounter on his Sunday morning ride. 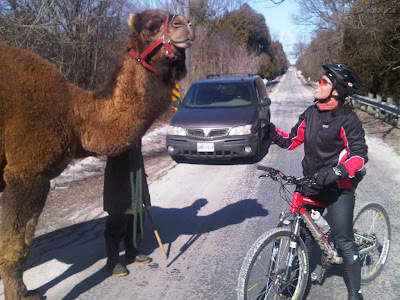 I've run into Bears, Moose, Wolves, Weasels, but Camels?? Now, is it a Bactrian or Dromedary?